DuckTales getting the reboot treatment for 2017 – Woo Hoo! Dewey: What is that? A Mexican Jumping Lamp? 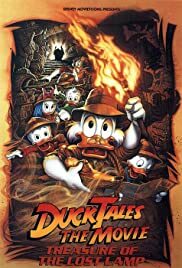 This was DuckTales at its peak. Animated by Disney's tv animation departments around the world, this film draws inspiration from the more mature indiana jones movies in the 80s and makes it suitable for kids of all ages.